ZWILLING J.A. Henckels is a name that has been synonymous with premium cutlery since 1731. 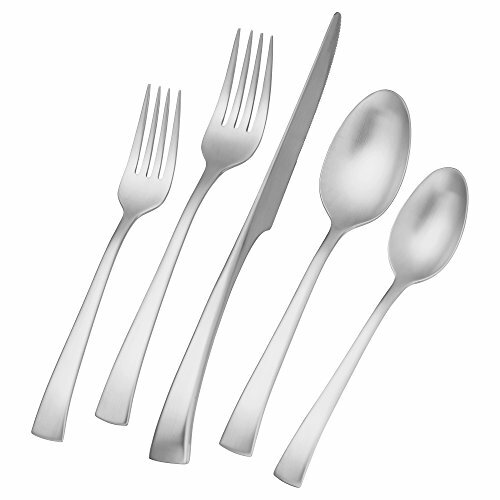 Our flatware products continue this longstanding heritage and tradition of design, excellence and expertise. Each piece is produced from high-quality 18/10 stainless steel. The dinner and steak knives are forged for superior cutting precision. Produced in compliance with strict quality standards, all ZWILLING flatware features carefully polished surfaces and edges. The heavy gauge and substantial sizing result in perfect balance and the feeling of quality in the hand. ZWILLING flatware is dishwasher safe. Bella sera features contemporary styling, fashioned with a lustrous mirror finish. Unique standing knife design will make an elegant statement at the table.